Packfirst Removals provides dependable property relocation services. Contact our team today for more details on our services. 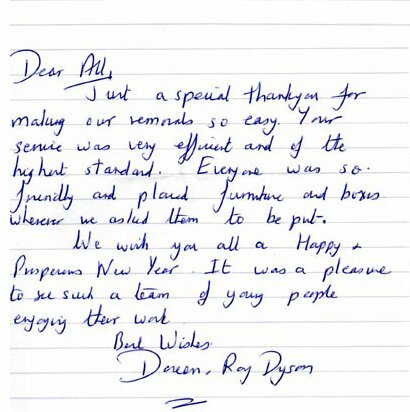 Just a special thank you for making our removals so easy. Your service was very efficient and of the highest standard. Everyone was so friendly and placed furniture and boxes wherever we asked them to be put. We wish you all a happy and prosperous new year. It was a pleasure to see such a team of young people enjoying their work. Just a small thank you for all your help in our removal “oop north”. Your men were very careful and helpful nothing was too much trouble for them. 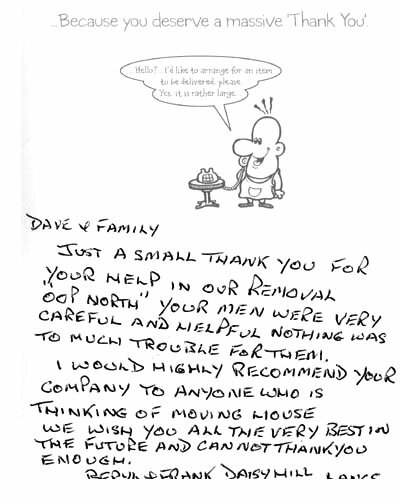 I would highly recommend your company to anyone who is thinking of moving house. We wish you all the very best in the future and can not thank you enough. I just wanted to thank the whole team who helped make my move from Mill Tail to Totnes on 24th and 25th August, to this new home, such an easy and pleasant one. It all went very smoothly and clean up afterwards was brilliant. The ladies worked very quickly and thoroughly and the men were very helpful in taking down and then putting up the beds and the furniture. They were always cheerful and kept the atmosphere light on a very emotional day for me. 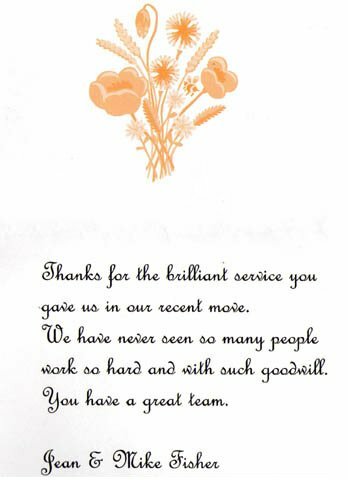 Thanks for the brilliant service you gave us in our recent move. We have never seen so many people work so hard and with such good will. 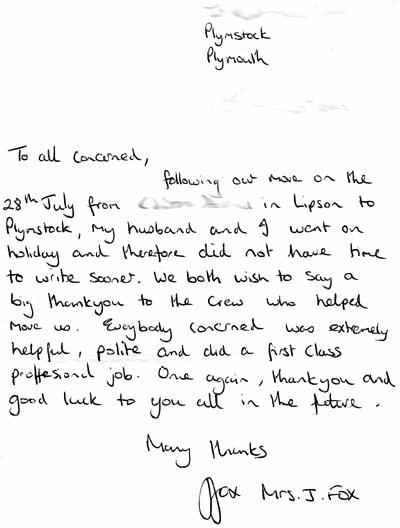 Following our move on the 28th July from Lipson to Plymstock, my husband and I went on holiday and therefore did not have time to write sooner. We both wish to say a big thank you to the crew who helped move us. 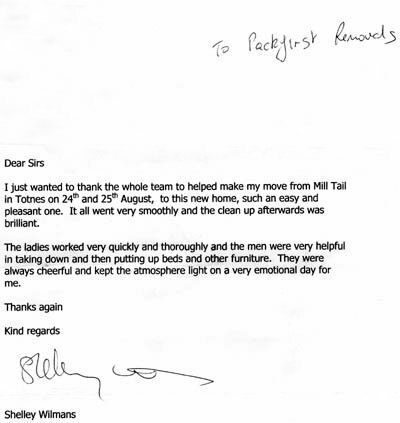 Everybody concerned was extremely helpful, polite and did a first class professional job. Once again thank you and good luck to you all in the future. 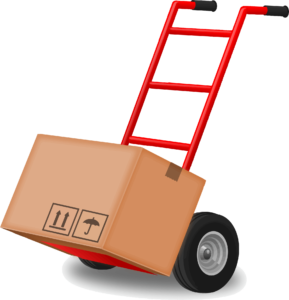 Packfirst also provide a more budget conscious man and van style removal service. Packfirst provides a choice of vehicles plus driver and additional porters if required. Our female packing and cleaning services are available to help make your move as smooth as possible.